The turkey has been carved and gobbled up, the pie topped with whipped cream and devoured. Hard to believe that another Thanksgiving has come and gone, but I say let the thankfulness live on! Some of you may know that I write for Joe Bunting’s website, The Write Practice. 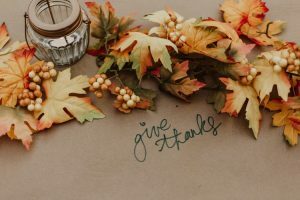 Last week, they published an excellent article by one of my fellow writers, David Safford, entitled, How Writing Can Make You More Thankful. David reminded me about some great aspects of writing for which I should be more grateful. I’d like to share a little of what he had to say. Gratitude is something we should be actively practicing. And like anything else you practice, it becomes more automatic with time. 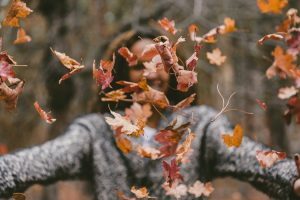 Ingratitude is a bitter poison that can seep into our souls and sap our happiness if we let it take hold. 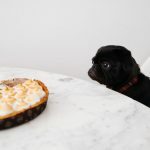 Careless ingratitude—when we simply neglect to notice or acknowledge something good in our lives—is harmful enough, but a deliberate lack of gratitude can destroy us. I’m grateful for the opportunity to write, to share my thoughts and words and dreams with others and create the stories that grow from my imagination. I’m grateful for my fellow writers who support me, encourage me, give me useful feedback, and allow me to feel useful in return. And I’m grateful for you—my readers. Thank you so much for giving me your time, your attention, your reviews, and everything else you do for me. I appreciate you so much! What are your views on gratitude? Have a favorite quote or an insight you’d like to share? Tell us in the comments section.